UPDATE: The alternate ending to “Lost to Light” can now be completed at any time by selecting it from the Director on the Heroic difficulty. The Heroic Mission called Lost to Light is where you’ll be able to earn yourself a Black Spindle. There’s a secret ending to this mission that you can activate to receive this new Exotic sniper rifle. It resembles and shares the perks of the Black Hammer. To activate the hidden quest ending, play the Lost to Light Daily Heroic mission as normal until you start escaping the Hellmouth. When you get to the room where you need three keys to open the door, head over to the Fallen Ketch that you visit in the Shadow Thief Strike. Run through the mission as fast as possible in order to have access to the Ketch. If your team wipes before reaching the area, you can’t get in. Once you enter the Ketch, you’ll trigger the new part of the mission, which will give you a 10-minute timer to kill all of the Taken on the ship. You will be fighting all the way to where you killed Taniks, and you will face off against a Fallen Taken Champion at the end. If you die, you can be revived in 10 seconds by a teammate or auto revive five seconds after that. Kill the Taken Blights in order to prevent getting debuffed with their slowing effect. As a team, focus fire higher ranked enemies such as Knights and Centurions. Watch out for the blinding projectiles that the Taken Captains throw. If you see a stream of Shadow Thrall, quickly follow their spawn to the Taken Wizard that’s spawning them and take it out as soon as you can. When you reach the final room of the Ketch, you will face a plethora of Taken as well as a Taken Champion. You are required to kill the champion as well as all of the Taken in time to complete the mission. We recommend you focus on the lower-ranked enemies first before moving on to the Champion. Once again, watch out for the blinding projectiles the boss will throw. If you complete the mission in time, you’ll receive the Black Spindle sniper rifle. It is an amazing weapon to use in Raids because it will auto-reload your clip if you land three precision shots. You’ll only be able to get this Exotic sniper when the Lost to Light mission is the Daily Heroic. Remember to bring some friends and focus fire your targets in order to avoid being overwhelmed, you’ll bring Black Hammer into Year 2 with a makeover. 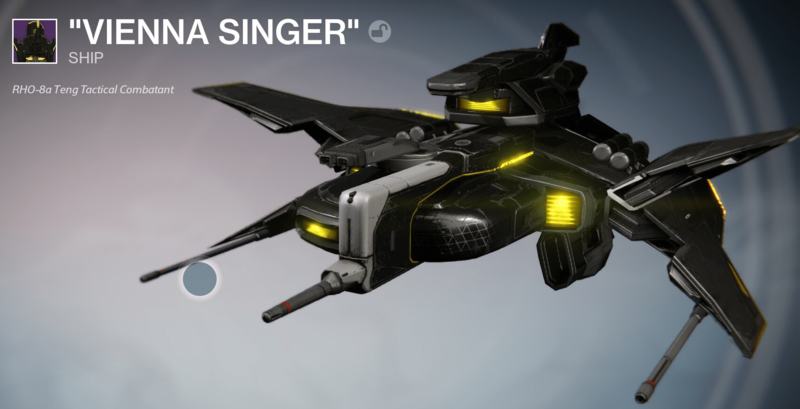 This isn’t guaranteed, but you’ll have a chance at this ship in addition to Black Spindle. It’s basically the Y2 version of Black Hammer – deadly Impact and great for PvE. However, this new version does have a couple inconsistencies that make it slightly less valuable than the Y1 Black Hammer, back in its heyday. Since White Nail pulls from reserves, as it probably should have in the first place, this won’t be broken in PvE.